From Aol Sports comes word that the Memphis Grizzlies' Pau Gasol is on the cover of Rolling Stone... in Spain. 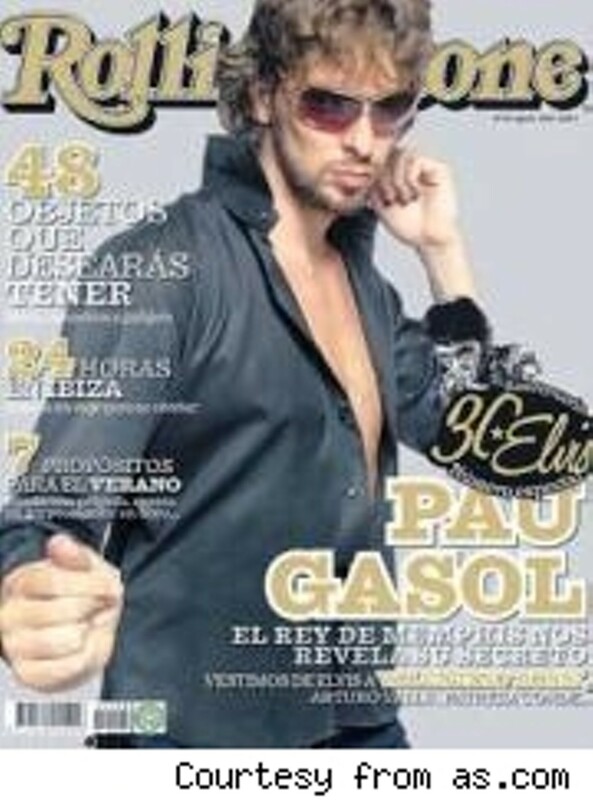 The cover shows Pau dressed Elvis-like in an open black shirt and gold sunglasses and includes a tagline promising that Pau reveals his "secrets." The source for the Aol piece is a story from as.com.